Thrifting, as defined by the dictionary, refers to the act of shopping at a thrift store, flea market, garage sale, or a shop of a charitable organization, usually with the intent of finding interesting items at a cheap price. Thrifting, as defined by me however, is when it’s the point in the semester when you’ve spent too much money on eating out that you need to go to a cheap store and find cute clothes no one will actually know you got for less than $10. As winter approaches and the leaves start to descend off the trees, we all need layers. Whether that be cute sweaters, the classic Vineyard Vines vest, or even some trendy jeans, we always seem to need more clothes then the pieces in our closets. But how can we afford to dress up with so many layers when our wallets are empty from escaping the boring Bison food? The answer: thrift stores. 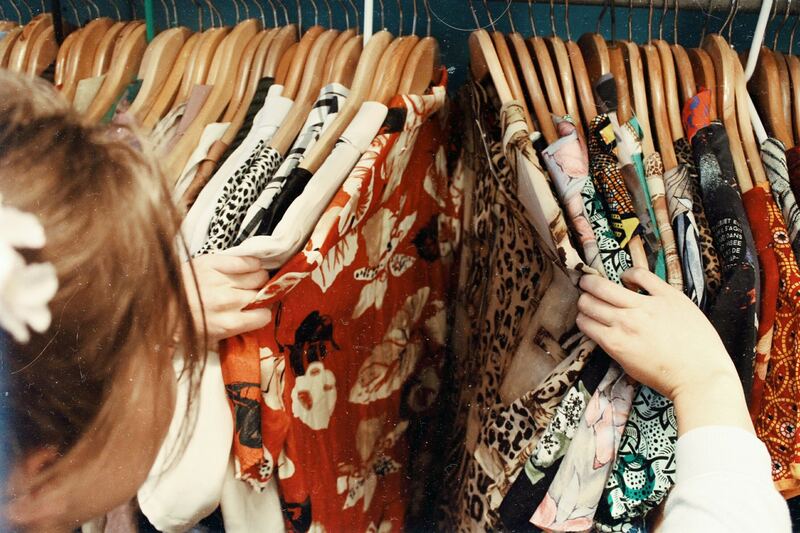 Thrifting is a great way to buy as much as you need without draining your entire bank account to negative numbers. Why care so much about brands when you can get ten times the amount of clothing for half the price of one Gucci belt? I am telling you, no one will know that your clothes came from a thrift store and even if they did, who cares! When you first walk into the thrift store, make sure to check out everything. Many times, these stores are loaded with clothes in every which way: under tables, in the backs of shelves…you really have to dig around to find the gems. Once you have found the clothes that you want, try them on! I have so many friends who just make impulse purchases and a week later they try on their new dress and realize it does not fit them. Do not make this rookie mistake. Lastly, don’t give up after your first visit. Not all thrift shops are great, and in reality most stores are hit or miss. Just remember, after shopping at the thrift store not only will you credit card be praising you, but so will your newly stocked closet!